t’s a fact: The housing sector continues to gain momentum. The National Association of Realtors reported in February that the national median existing single-family home price was $178,900 in the fourth quarter of 2012, up 10 percent from $162,600 in the fourth quarter of 2011. In December home prices rose again by 8.3 percent compared to a year earlier–the largest increase in more than six years, according to a CoreLogic report released early last month. It was also the tenth straight month of year-over-year increases. States seeing the biggest price increases were Arizona (up 20.2 percent), Nevada (up 15.3 percent) and Idaho at 14.6 percent. Only four states saw declines in home prices from last year: Pennsylvania, New Jersey, Illinois and Delaware. While the U.S. housing market has certainly headed into 2013 with home prices on the rebound, many wonder how long this upward trend will last. A surge in home prices generally forecasts an increase in home buying. Home buying revives the housing industry, which is a key indicator for measuring the U.S. economy’s progress and health. Home prices not only surged due to tightening supply but also as a result of a decline in available foreclosures and distressed properties. This means more home buyers are choosing relatively more expensive and non-distressed properties. As a result existing home prices have increased, and in some areas substantially, during this time. The decline in distressed property sales should also have resulted in newly constructed homes being more competitively priced. Yet in many instances new home prices have increased in tandem with existing home prices. 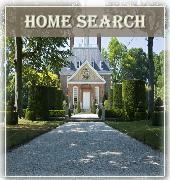 In some areas, this has caused buyers to experience low inventory and bidding wars for homes. For 2013, the Federal Reserve has vowed to keep interest rates and home loan rates "exceptionally low" in an effort to spur economic growth and to shore up the housing markets. The Federal Reserve, or the Fed, is the central bank of the United States and regulates the U.S. monetary and financial system. It oversees four general areas: 1) Conducts monetary policy 2) Regulates banks and protects the credit rights of consumers 3) Maintains the stability of the financial system and 4) Provides financial services to the U.S. government. As the economy strengthens from the housing comeback and other major reviving indicators such as manufacturing and trade, interest rates could rise. Great opportunities to purchase or refinance a home still exist, but fence-sitters should be advised as the path of least resistance for interest rates is higher, since they are currently at record lows.